Sheikh Sharif Sheikh Ahmed, Somalia's new president, has said that he sees a positive role for the US in helping his country attain peace. The comments, made in an interview to el-Shorouk, an Egyptian newspaper, were released on Sunday. "One can say that the US position towards Somalia has become honest ... We think that the American view of Somalia is now positive," Ahmed said. "In the framework of the Djibouti negotiations, America has become a force which supports peace." 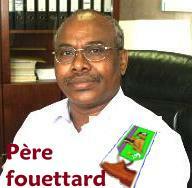 The Djibouti negotiations are a UN backed process which helped bring about the election of Ahmed. Ahmed easily won a parliamentary run-off vote on Saturday against Maslah Mohamed Siad, the son of ex-president Mohamed Siad Barre, taking 293 votes to Siad's 126, to become president. Somalia has not had effective central government since 1991, when Barre was forced from power. Mohamed Nur, a Somali journalist based in Mogadishu, the capital, told Al Jazeera that people had taken to the streets to celebrate Ahmed's victory. Ahmed has vowed to form a broad-based government and invited all armed groups in Somalia to join a UN-sponsored reconciliation effort. Ahmed had been critical in his assessment of past US administrations' influence on Somalia. He led the Islamic Courts' Union before the US backed a 2006 Ethiopian invasion with the purpose of driving the group from power. In 2008, Ahmed condemned the US after an air raid killed a Muslim leader in central Somalia. The last of the Ethiopian troops left Somalia in January and a new US administration under Barack Obama took office in the same month. Abdullahi Yusuf, the former Somali president, resigned on December 29 after he was accused by the major powers of being an obstacle to peace. Ahmedou Ould-Abdallah, the UN's special envoy for Somalia, praised Saturday's "transparent" presidential vote. Somalia's new president called for a united front against violent extremists and signaled his intent to try to bring together the country's feuding Islamic factions, according to an interview published Sunday. Moderate Islamist leader Sheikh Sharif Sheik Ahmed was sworn in Saturday and faces the daunting task of leading a Western-backed government that wields little control over a country that has suffered nearly 20 years of violence and anarchy. "I say it is now high time to achieve national unity, forget our differences, unify our ranks and confront those who commit violence," Sharif was quoted as saying by the English-language Saudi Gazette. Ahmed was chairman of the Islamic Courts Union that ran Mogadishu for six months in 2006 before Ethiopian soldiers drove them from power. The group's extremist breakaway militia, al-Shabab, has now taken much of the country, forcing lawmakers to meet outside of the country. The U.S. considers al-Shabab a terror organization with links to al-Qaida. Al-Shabab did not recognize the last government and also disapproves of Sharif, but his election raises hopes that he will bring many of Somalia's Islamic factions into a more inclusive government. The U.S. government welcomed Sharif as leader Saturday and said that he had worked diligently on reconciliation efforts in Somalia. Sharif was attending the African Union summit in Addis Ababa on Sunday and holding a series of meetings with other African leaders. He did not speak to reporters. "We'll try to negotiate with them," he said. "We'll try to bring them on board. We'll use the carrot-and-stick. We'll try to influence them — or we'll beat them." The last president resigned in December after failing to pacify the country during his four-year tenure. The arid and impoverished Horn of Africa nation of some 8 million people has not had a functioning government since clan-based militias overthrew a dictator in 1991 then turned on each other. The Islamic Courts Union (ICU) have welcomed moderate Islamist cleric Sheikh Sharif Sheikh Ahmed's election as Somali president Sunday and vowed to support his efforts to restore stability in Somalia. In a press conference held by the leaders of the Islamic Cours Union in Mogadishu, They congratulated Sheik Sharif on his victory. "We welcome and support President Sheik Sharif on his victory as the Somali president and we also call for him to fulfill his pledges in working peace and reconciliation," said Abdirahin Isse Adow, the spokesman of the ICU. "We urge President Sharif to form national security forces starting from the insurgents who have been fighting to get freedom," Abdirahim added. "We call to those young insurgents to support the peace and stop misinterpretation of Islamic religion," the deputy chairman of the ICU, Sheik Abdulqadir Ali Omar said. Sheikh Abdulqadir is the local head of the Islamic Courts Union (ICU), who remained in the country after the leadership of the ICU fled the country. Sheik Sharif was the chairman of the Islamic Courts Union which was sent into exile when Ethiopia - the previous US administration's top regional ally - launched a military invasion into Somalia to remove what it saw as extremist Islamic rule on its doorstep. Al-Islah and Ahlu Sunna Waljaca, moderate Islamist organizations welcomed Sheik Sharif’s election as the new president of Somalia. Clan elders also hailed the victory of the new president and described as a young, active man who can unite the Somali different clans and insugents. “You are the man whom we have been waiting for a long time and we think you can make peace with the help of your people,” said a clan elder Abukar Osman Sheik. In other news thousands of Somalis have celebrated in many different neighbourhoods in the capital Mogadishu and other towns in the countryfor the second day to show support for the new president. The newly elected president of Somalia, Sheikh Sharif Ahmed, said in an interview published on Sunday that he saw the United States as a positive influence for peace in his country. Ahmed led the Islamic Courts Union before the United States backed an Ethiopian invasion meant to drive the Islamists out of power. In May 2008, Ahmed criticized the United States for a U.S. airstrike that killed an Islamic leader in central Somalia. The last Ethiopian troops left Somalia last month and a new U.S. administration under President Barack Obama took office in Washington on January 20. "One can say that the U.S. position toward Somalia has become honest... We think that the American view of Somalia is now positive," Ahmed told the Egyptian newspaper el-Shorouk. 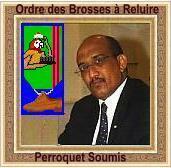 "In the framework of the Djibouti negotiations, America has become a force which supports peace," he added. 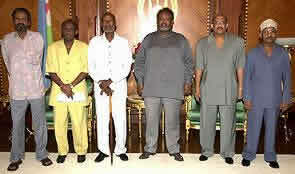 The Djibouti negotiations were the U.N.-backed process which helped bring about the election of Ahmed on Saturday. The Islamists in the port town of Kismayu, 500 kilometers south of the Somali capital Mogadishu opposed the new Somalia president Sheik Sharif Sheik Ahmed, officials told Shabelle Radio on Sunday. Abdiqani Mohamed Yusuf, a deputy chairman of the Islamic administration in Kismayu in Lower Jubba region and Sheik Hassan Yacqub, secretary information of al-Shabaab in Kismayu denounced the presidential election in Djibouti in a press conference held in the town. Somali parliament elected Sharif Sheik Ahmed as the president of Somalia in Djibouti on Friday, after Abdulahi Yusuf resigned last month. The Islamists said president Sheik Sharif who was once the leader of Islamic Courts Union refused to recognize the legitimacy of the Somali federal government before he reconciled adding that they will never support his government. “Sheik sharif used to declare Jihad (holy war) against the enemy, but now he joined to the federal government. Nothing has changed yet so we will not welcome it and the Jihad will continue,” Mr. Abdiqani said. Sharif’s government is not different from the one which was established in Nairobi in 2004, he added. “It is clear that the world has ignored and failed Somali political affairs because the international community often set up government which does not have the support of the Somali people and that is not the goals of the Somali people, it is only waste of time,” Sheik Hassan Yacqub said. The Islamist group in Kismayu is the first group that rejected the outcome of the presidential elections held in Djibouti which the legislators elected Sharif Sheik Ahmed the president of Somalia. Le nouveau président somalien au sommet de l'Union Africaine Quelques heures après avoir prêté serment, le nouveau président somalien, Cheikh Charrif Cheikh Ahmed, est arrivé dimanche à Addis-Abeba pour participer au 12ème sommet ordinaire des chefs d'Etat et de gouvernement l'Union africaine (UA). Le sommet, ouvert dimanche matin pour durer trois jours, porte essentiellement sur le projet de création d'un gouvernement continental.Il sera également marqué par l'élection d'un nouveau président en exercice de l'organisation, poste occupé depuis plusieurs mois par le président tanzanien, Jakaya Mrisho Kikwete.M. Ahmed remplace le résident Yusuf Abdullahi Ahmed qui a démissionné en décembre après avoir été vivement critiqué par les dirigeants des Etats membres de l'Autorité inter-gouvernementale pour le développement (IGAD), l'accusant d'être un obstacle à la stabilité de son pays.L'IGAD regroupe sept pays, à savoir le Kenya, l'Ouganda, le Soudan, l'Ethiopie, l'Erythrée, Djibouti et la Somalie. Mais sur fond de crise, de nombreux dirigeants africains n'ont pas caché leur inquiètude sur une baisse de l'aide intertionale qui contribue à financer les investissements dans ces secteurs.